Focusing on staff development is key in building a strong work force. At Haddon Training we are always dedicating ourselves to support our staff through Continue Professional Development (CPD). The importance of our staff and their professional development is key to providing the best teaching and coaching to our learners. This year, we have seen six exceptional staff members successfully pass their BHS Stage 4 Care and Management Award – Alex Hubbard, Dulcie Sanders, Beth Mantel, Natalie Bowels, Hannah Perry and Frankie Roberts. The BHS Stage 4 focuses on the development in coaching both horse and rider in the equestrian industry, with knowledge focusing on the care and management, riding and teaching. This award demonstrates their experience and skills to independently train and coach their learners; not only the riding abilities but also teaching business knowledge in taking responsibility for an equestrian establishment. Passing my BHS Stage 4 is such an incredible feeling. It was a hard process of long nights revising, but the hard work has really paid off. I have developed skills which will help the learners I coach and support. I cannot thank Haddon Training enough who provided the help and support in order for me to gain my qualification. I decided to undertake the exam to challenge myself to ensure that I am in a stronger position when teaching my learners. I am thrilled that I passed and so pleased for my colleagues too; it was a tough exam, which we could not have done without the support of our Directors. 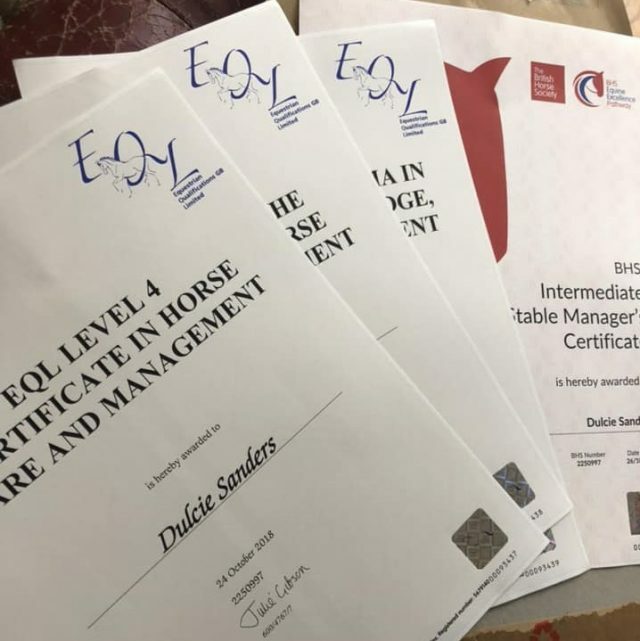 Not only am I a better tutor for my learners, but this qualification aids me with my own horses and progressing in my own riding and care of them. I set myself a goal to achieve my BHS Stage 4 before 25 – and I did with the support from Haddon Training. To achieve this Award, I had to demonstrate the practical skills and knowledge required to take a level of responsibility within an equestrian business, whilst also being able to show my depth of knowledge. I would like to thank Haddon Training for the opportunity and the brilliant Continue Professional Development that they have offered me. 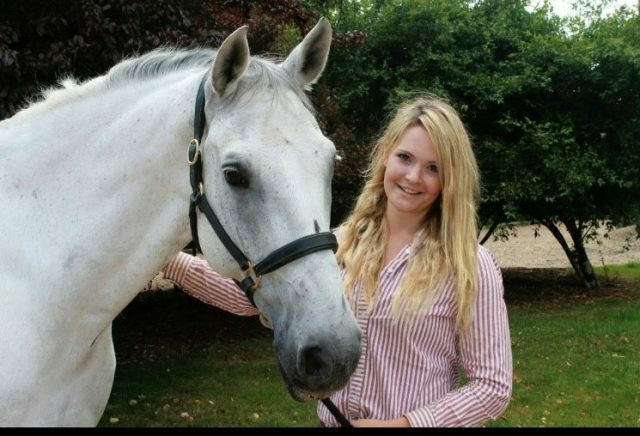 If you’re interested our Horse Care Apprenticeships, click here to explore all our vacancies. Don’t forget to follow us on Facebook, Twitter and Instagram to discover more about our apprenticeship vacancies and the latest industry news.